This video explains how to check and print your Result on the AE-FUNAI CES ePortal. You will need two sets of PINs for checking your First and Second Semester's result. Please contact your Admission Officer for collection of PIN. This video explains how to print your Admission Letter on the AE-FUNAI CES ePortal. Details of School Fees and other necessary information are contained in the Admission Letter. As soon as your Admission Letter is ready, you shall receive a text message and/or email. This video explains how to retrieve your Application No and Password. You need an email password and your phone number. This video explains what to do when you forget to activate your RRN before payment. If you have already made payment, then this video is for you. 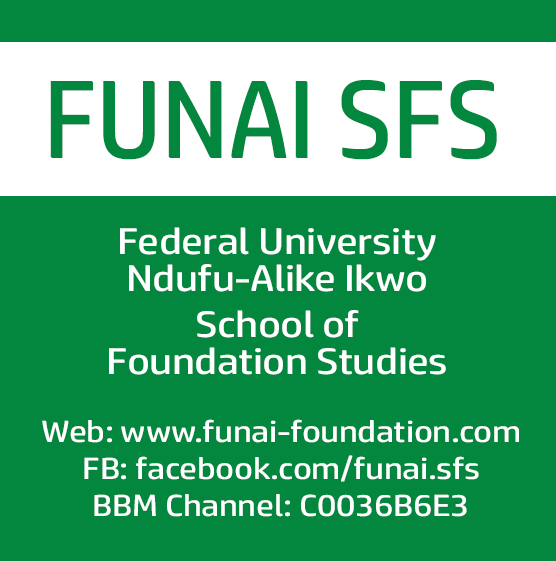 For more information, visit the AE-FUNAI CES website - http://www.ces.funai.edu.ng. This video shows how to resize your passport photo to 250 by 300px. This dimension is required for passport uploads on ther AE-FUNAI CES ePortal. Two methods (offline and online) of resizing passport photos are shown in the video.